The needs of a calendar are as wide and varied as the user. This is why it is so important to create a calendar that you are satisfied with. You need one that suits your needs and not the needs of everyone else. Making a calendar like this requires a special calendar creator. Lucky for you, it can be found in the form of a free template. 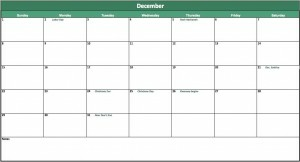 Why Not Simplify Your Calendar Creation Process With A Free Calendar Template? If you have not tried these handy, easy-to-use templates, you should do so right away. You will be amazed at how easy they are to use and at how much more you will get accomplished in your life once you start to use them.